This website contains a page for each British and Irish species of bee, wasp and ant. Eventually these pages will include a detailed account for each species, with distribution maps, photos, life history, conservation status and identification tips. Browsing pages: When you have a species account page open you can use the "breadcrumb" e.g. to jump back through the hierarchy to the genus, subfamily or group (bee, wasp or ant). The breadcrumb is located beneath the main menu, above the species name, at the top of the page. The site contains over 2,700 photographs, with many species represented. This resource is continually expanding as new photographs are contributed. 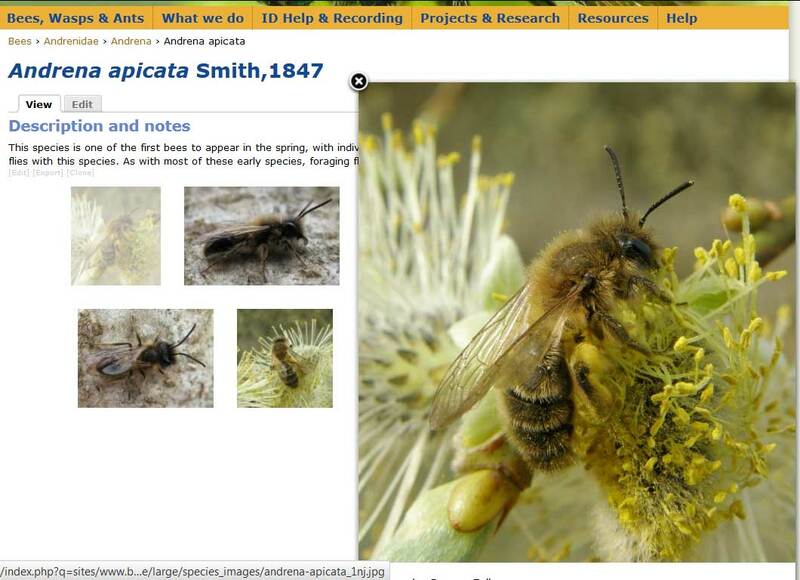 On the Species Accounts page you can click on a photograph to enlarge it. Click it again to close it. This view shows you up to five photographs per species. To view more photographs, click on the species name and the Species Account page will open. 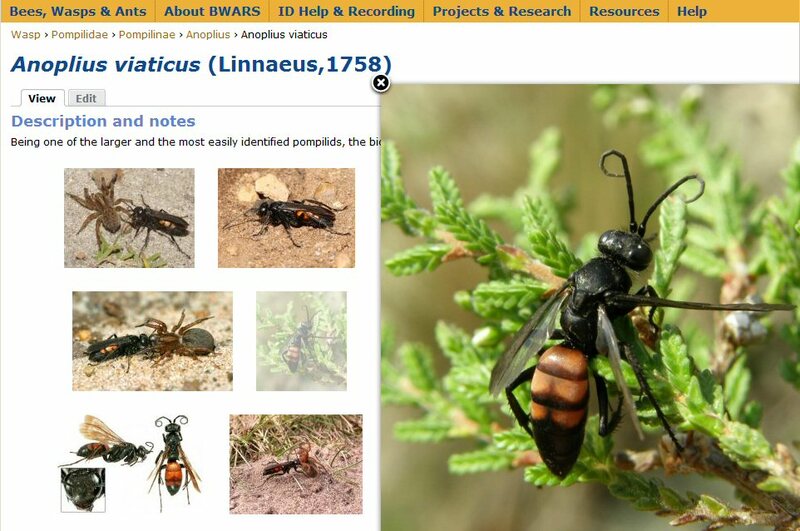 Quick scrolling: Once an individual species account page is open you can click on any photograph to enlarge it. Then, press the arrow key on your keyboard to easily open the rest of the photographs on the page. You can use the forward and backward arrows to move both ways through the photographs.